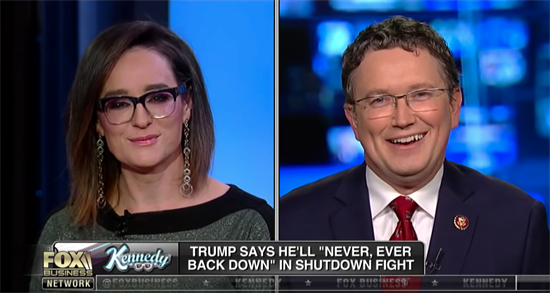 Did you see Congressman Massie on TV? I hope you are having a happy and healthy new year. The government shutdown has been on the minds of many—including my own. 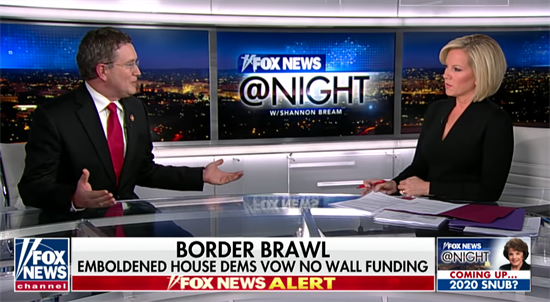 I recently shared my thoughts regarding the border wall funding fight and the resulting partial government shutdown on national television. Thanks for watching! If there is any way I can be of assistance to you, please call my office. My Kentucky staff can be reached at (859) 426-0080 and my staff in Washington, D.C. can be reached at (202) 225-3465. NOTE: Please DO NOT respond to this email as this inbox is unattended. To contact my office please click here.